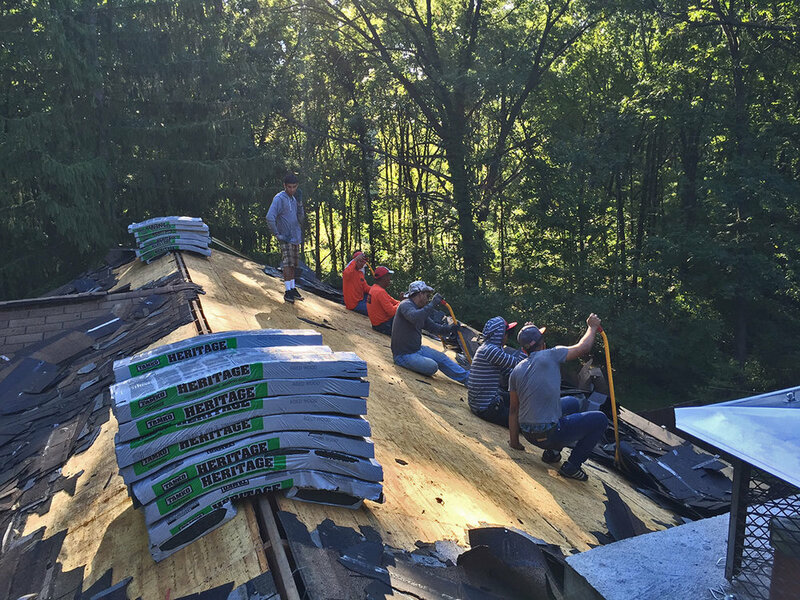 The Neighborhood roofing crew installed a replacement roof along with a ridge vent. 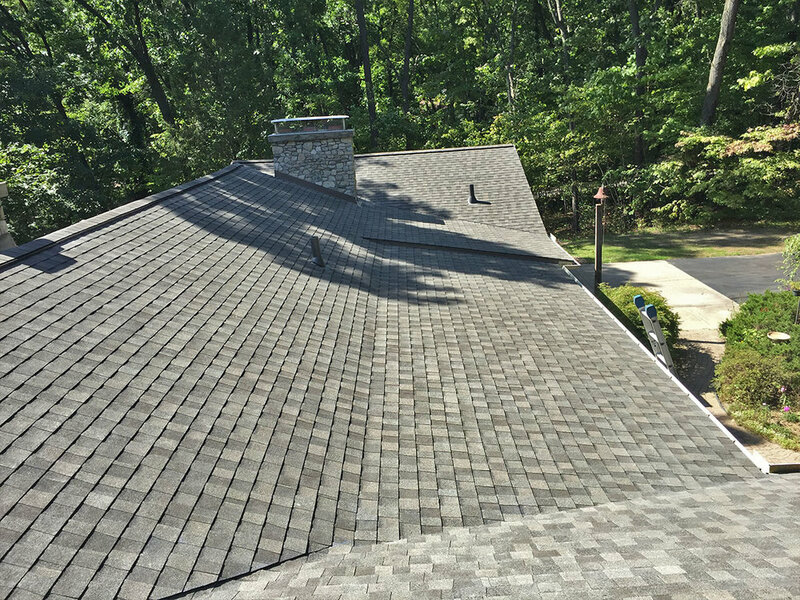 Unlike some other ventilation options, the ridge vent eliminates unsightly vent caps to enhance visual curb appeal. 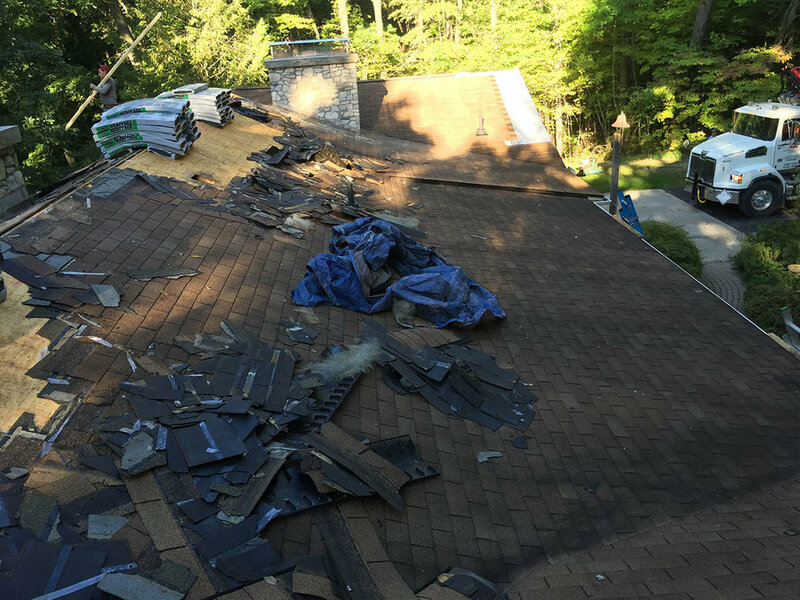 Under ventilated attic space can lead to higher utility bills and the accelerated aging of shingles. That’s why proper roof ventilation is critical. A combination of continuous eaves and ridge vents provides uniform natural draft ventilation from the bottom to the top of the attic space. 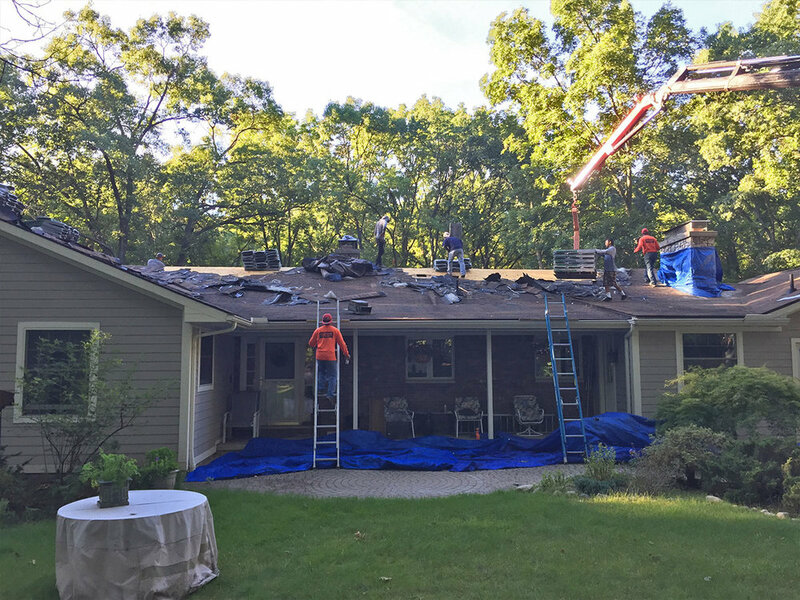 The classic wood-shake look of the TAMKO Aged Wood shingles complement the home’s architecture by adding a striking new dimension to the roof. They replicate the beautiful, natural aesthetics of wood shakes, at a lower cost, without the fire susceptibility of real wood. And the random-cut sawtooth design of shingles provides added beauty.